Vancouver Therapist: Marjolaine Limbos - Therapist V5Z 4C2. Children and adults with intellectual and developmental disabilities, children with autism spectrum disorders, children and teens with mood problems such as depression and anxiety and children with complex developmental and behavioral problems. Send A Message To Dr. Limbos. 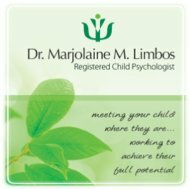 Marjolaine Limbos is a child psychologist, registered to practice psychology in the provinces of British Columbia and Ontario. She has over 12 years of University education, including a Master of Social Work, Master of Arts in Psychology and Doctorate in School and Child Clinical Psychology. Her clinical work and training experiences have spanned from work in hospitals, schools, treatment centres and outpatient multidisciplinary assessment clinics. She has worked with children with autism spectrum disorders, ADHD, developmental, learning and intellectual disabilities, medical conditions and social-emotional problems. Dr. Limbos has an active involvement in research and teaching, having recently taught as an Assistant Professor at Laurentian University in the Department of Psychology and the Northern Ontario School of Medicine. She is currently affiliated with the University of British Columbia, where she has an active research program on screening for developmental and learning disabilities in children, and the psychological outcomes of children with rare genetic syndromes. Dr. Limbos recently moved to Vancouver and in addition to her private child psychology practice she works as a psychologist with the Complex Developmental and Behavior Conditions Team at the Sunny Hill Health Centre for Children. Self-esteem, Divorce / Separation and Substance Abuse.